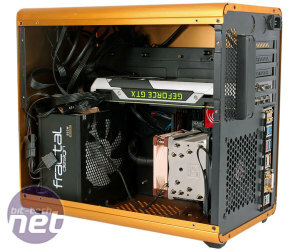 We also tested the Styx with the exhaust fan switched round to an intake and the CPU cooler fan also reversed to match. 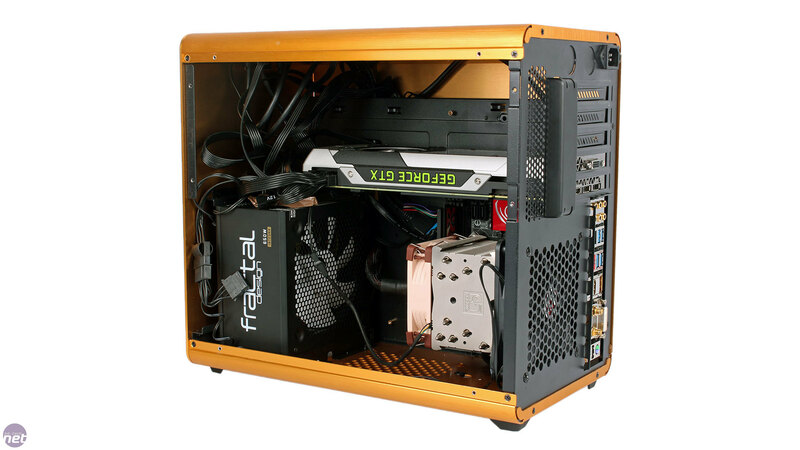 This creates a back-to-front airflow set-up using the PSU as an exhaust, rather than having the power supply battling the cooler and exhaust fan for air. What we see is a 6°C improvement in our CPU temperature. 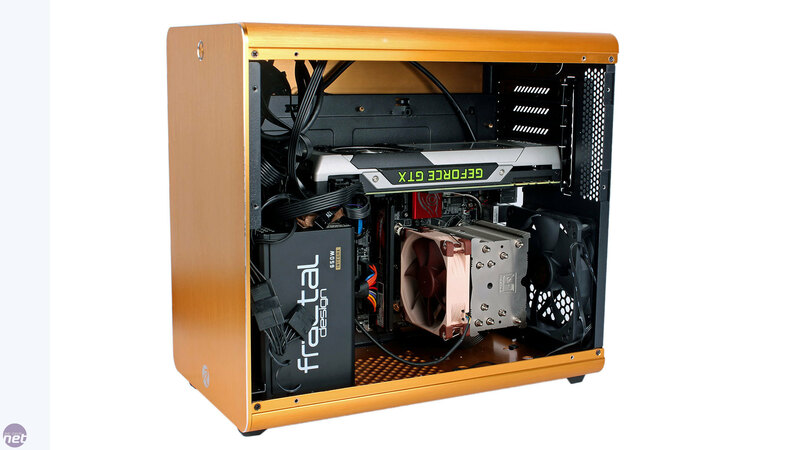 In fact, in this configuration the Styx is close to performing the same as our system did on an open bench, which is especially good given that the sole case fan is also very quiet. This is a nice outcome, but it's still not as dramatic a gain as when we did the same thing with the Metis. What we didn't predict is what happened to the GPU – it actually increased its temperature by a whole 8°C with the fans reversed. We suspect that in the default set-up, the dual exhaust fans (rear and PSU) were causing a lot of air to be drawn in through the roof via good old negative pressure. However, with the more balanced arrangement in the new configuration, the GPU has to rely more on itself to pull air in through that mesh. It doesn't overheat, but remember we are running our GPU fan at 70 percent; for more than you're likely to want in day-to-day use. Neither set-up is truly ideal, but unlike the Metis we'd probably stick with the default arrangement for the sake of our GPU. Either way, that roof ventilation makes a world of difference compared to the Metis, as your system is no longer starved of air. 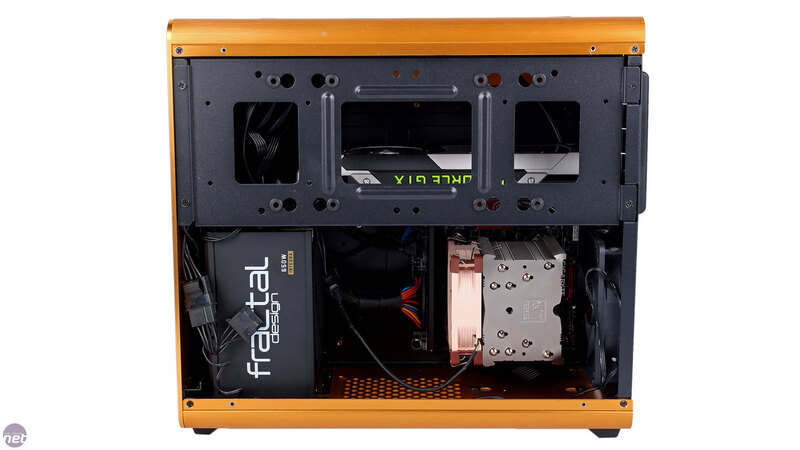 The Styx has proven itself to be caable of cooling a high-end, performance system which is always impressive for a case on the small side. That said, dual graphics card users will definitely want to bolster their cooling. For just over £60, there's a lot to say for the Styx. While the gold of our sample may not be to your taste, there are five more colours to pick from and the craftsmanship of the aluminium itself is lovely. 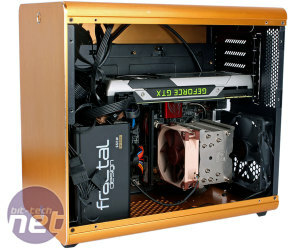 Internally, it can be a bit fiddly and tight at times, but the level of hardware you can cram inside it pretty impressive, with the Styx supporting ATX PSUs, a pair of large graphics cards and massive CPU coolers, for example, as well as water-cooling gear and a healthy number of SSDs and HDDs. 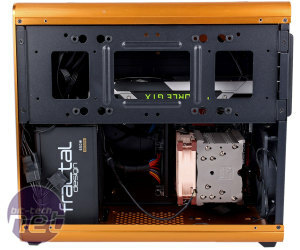 Lastly, it's great to see that the thermal performance issues that plagued the Metis have pretty much been eliminated with the addition of that roof vent, which gives cool air a natural way in to the case even without any intake fans. We'd definitely bolster our cooling were we to go the SLI/CrossFire route, but otherwise the Styx has what it takes to tame a modern, high-end system with fairly little noise.